We came across this infographic recently and we just had to share it. It perfectly illustrates one of the points we make to our customers time and again. With just the sheer volume of emails being sent every day it is even more important to make sure the emails you send stand out. 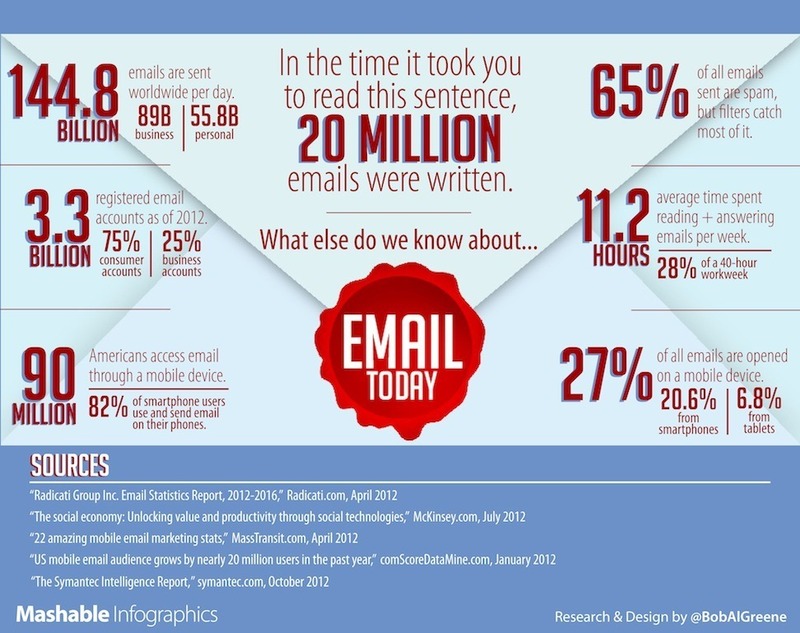 You can’t just send a lot of emails to succeed, you have to send great emails.